Friday night was extremely hot and we had guests over for dinner. Selected this wine and chilled it. It was outstanding! The buttery yellow color was amazing and the undertones in the wine were so unique. It starts with aromas of macadamia nuts and sherry and is sultry and rich. A vibrant wine with flavors that include baked apple pie, roasted chestnuts, toffee, and crunchy layer of burnt sugar in a crème Brule. The finish is long! 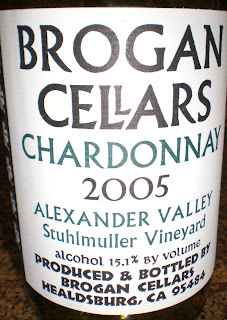 A big and buttery Chardonnay that you will want to enjoy without food for the first glass. Make sure it is not too cold; otherwise the flavors will not come out.